Fits aircraft in Tamiya's 1/350 scale USS Enterprise kit (CVN-65.) Provides simulated canopies in dark gray for 40 aircraft of nine different types (four A-6, four EA-6B, four E-2C, four A-7, four H-3, four F-14, four F-18, four S-3, and eight F-4.) Eliminates the need for tedious hand-painting of aircraft canopies. 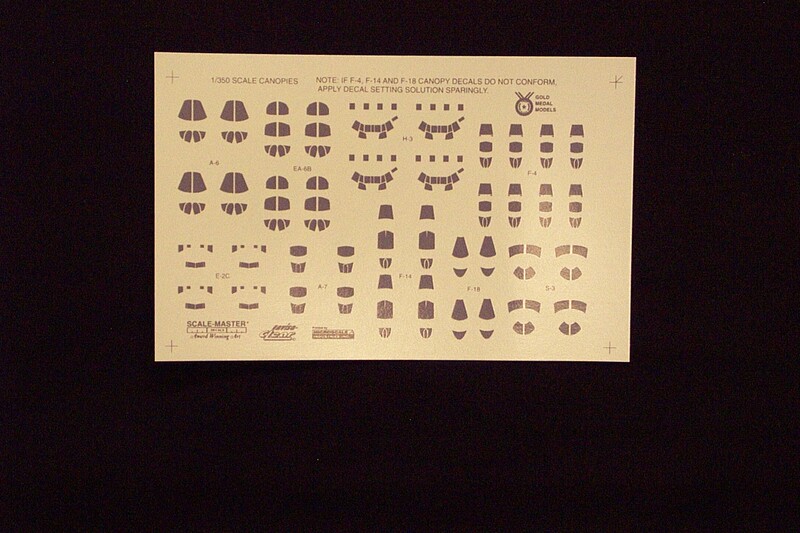 Can also be used with GMM Decals 350-2D Lo-Viz (West Coast) and 350-3D Hi-Viz A/C Decals.